There are two reasons for the improvement in people‘s living conditions.In the first place,we have been carrying out the reform and opening-up policy.Secondly，there has been a rapid expansion of our national economy.Further-more,the birth rate has been put under control. My suggestions to deal with the problem are as follows.To begin with, it is urgent to create nature reserves.Secondly,certain rare wild animals that are going to be extinct should be collected,fed and reproduced artificially. Finally，those who hunter them must be punished severely. 3.Different people have different opinions on this question.Some people believe that … Others problem/matter/argue that… Still others assert that…(论述不同看法)人们对失败持有不同的态度。面对失败，有人能够经得起考验，从失败中汲取教训，并努力去完成他们下定决心要做的事情。然而，另一些人却丧失信心并退却了。People differ in their attitudes towards failure.Faced with it，some of them can stand up to it.draw useful lessons from it and try hard to fulfil what they are determined to do. Others, however,lose heart and give in. 4.It is important (necessary,urgent,difficult,easy,expensive, desirable,abvisable,convenient,comfortable)for sb. to do sth. (发表意见)人们希望建立更多的医院、购物中心、娱乐中心、电影院和其他公用设施来满足人民日益增长的需求。It is desirable to build more hospitals,shopping centres, recreation centres,cinemas and other public facilities to meet the growing needs of people. “Everything has two sides.” Now people (the public)are benefiting more and more from scientific and technological inventions.On the other hand，the progress of science and technology is bringing us a lot of trouble.People in many countries are suffering from public hazards. (举例阐述)For instance, …Let‘s take …for example. 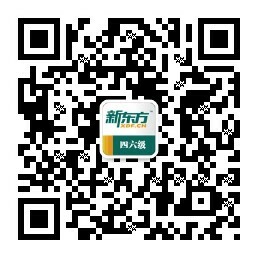 就拿汽车为例。汽车不仅污染城市空气，而且使城市拥挤不堪。此外，汽车造成许多交通事故。汽车所产生的噪音使居住在街道两旁的居民日夜不得安宁。Les‘s take cars for example.They not only pollute the air in cities,but make them crowed.Furthermore,they cause a lot of traffic accidents. (…, they are responsible for a lot of traffic accidents.) The noise made by cars disturbs the residents living on both sides of streets all day and night. It is generally believed (=thought) that the chief reason for the increase in population in developed countries is not so much the rise in birth rates as the decline in death rates as a result of the improvement in medical care. There is no doubt that the increase in demand causes(results in/leads to) the rise in prices.